Our mission guides us in supporting and providing services to Jefferson County Older Adults. 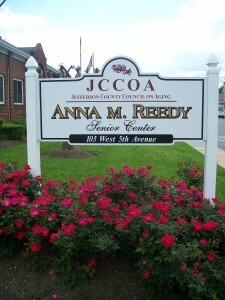 JCCOA is here to help older adults remain independent and to stay in their homes as long as possible. We are a non-profit agency dedicated to community outreach and committed to enhancing the quality of life for older adults through social, health and wellness, education, nutrition, recreation and various other supporting programs. The best way to know if JCCOA is right for you or your family members is to visit our center at 103 West 5th Avenue in Ranson, WV and schedule an appointment with one of our Outreach Coordinators. You are welcome to discuss resources you may qualify for, enjoy a hot meal and participate in a couple of recreation activities. Those who participate at JCCOA know that our center provides them with opportunities for a better future. Should you have any questions, please feel free to contact us at 304-725-4044.